Golf Made Simple believes in helping Golfers to play better golf. That’s what we do. So we sharing some free bonus material for you to use to improve your golf game. Below are three Golf Improvement materials that will help you to improve. Each of the three have been downloaded by Golfers from every continent in the world that have sent us emails thanking GMS for sharing this golf improvement material. One of the fastest way to improve you scores is to improve your putting. Yet, many times it’s hard to get to a practice putting green. Well this special GMS putting drill has been adapted for you to use indoors. So let the winter (or rainy day) putting practice begin! If you’d like for us to email you a special Indoor Version of an excellent GMS Putting Drill that you could spend hours on – email us at: IndoorPuttingDrill@GolfMadeSimple.com. Your mind and your body are the main drivers of your golf swing. In order for you to improve … both need to be working better. To view an exercise to strengthen your core – email us at: PushUp@GolfMadeSimple.com to receive a link and password to access the video segment. When you do have chance to get to the golf course to practice – you must try the GMS Tour Putting Square. After using this excellent drill – you’ll instantly know where you stand as far as far as to the level of your putting skill. 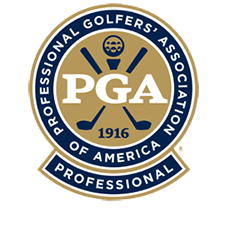 We have included directions on how to use the drill, along with how to gauge your results against different levels of Golfers including PGA Tour Players. Just send us an email at GMSTourPuttingSquare@GolfMadeSimple.com with the subject: Tour Putting Square – and we’ll email you how to use this excellent putting drill.